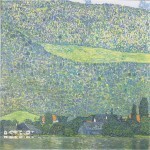 A few days ago, I wrote a post on Klimt’s painting, Litzlberg on the Attersee as it was expected to sell at Sotheby’s New York for $25 Million. Gustav Klimt’s painting was the star of the show at Sotheby’s New York, selling for a whopping $40,402,500 after a prolonged bidding battle! ”I have rarely felt a room as energetic as tonight” said Tobias Meyer, auctioneer of the evening sale. 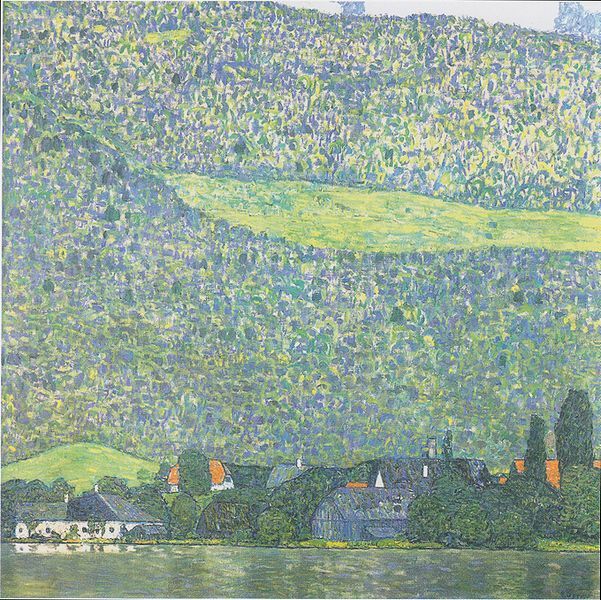 As usual at Fabulous Masterpieces, you do not need to have a spare $40.4 Million dollars lying around if, like me, you would love to buy this painting you can commission a fine art replica oil painting of Klimt’s Litzlberg on the Attersee in its original dimensions here. 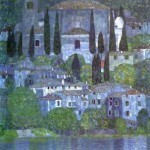 If you’re interested in buying a fine art reproduction of your favourite Klimt oil painting that’s not Litzlberg on the Attersee, please get in touch or visit the Fabulous Masterpieces online gallery. We’ve painted a lot of art reproductions of Klimt’s paintings and are more than happy to show you examples of previous commissions.